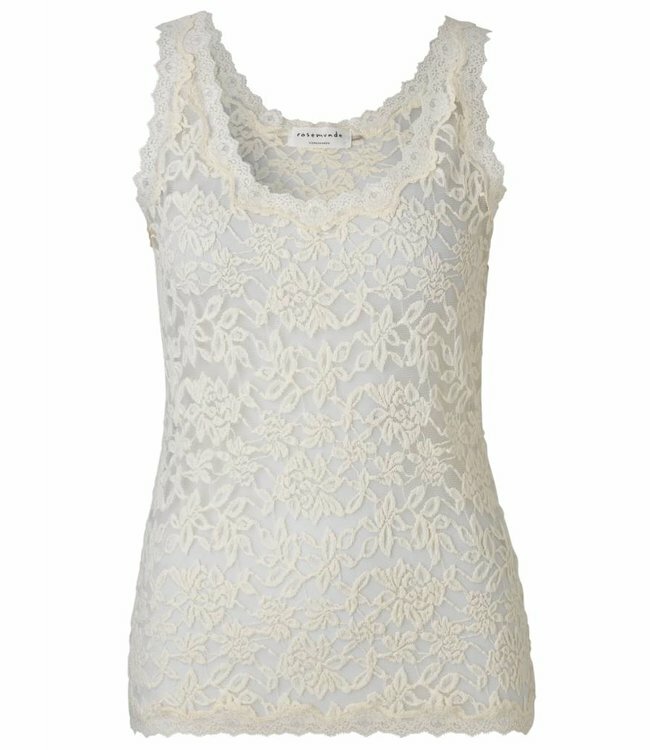 Closely fitted top made from delicate lace in a mother-of-pearl white. The top can be worn on its own or as a base layer underneath a blouse of jacket. The perfect combination for a wide range of outfits.